Joint legal custody means that both parents have the legal authority to make major decisions for the child. These include decisions regarding education, religion, and health care. Parents should be aware, too, that legal custody is separate from physical custody. In other words, it is possible for co-parents to share legal custody but not share physical custody. Barring domestic violence in the family, a special-needs child, relevant and special circumstances, or long distances between the parents' addresses, joint legal custody is presumed to be in the best interest of the child. Suitable evidence must be brought before the court for joint legal custody to be denied. Parents should not interpret a ruling of joint legal custody as an indication that the court is likely to also grant joint physical custody. It is quite common for parents to share legal custody even while the child resides primarily with one parent and has regular visitation with the other. In this type of arrangement, the child has two residences and spends equal time living with each parent. Joint physical custody usually works best when both parents live within the same city or region. Both parents make important decisions about the child and work together to decide on major issues, such as upbringing, religion, medical procedures and treatments, schooling, and more. Communication must be a priority between the parents for this type of arrangement to work. In this type of arrangement, the child would spend more time living with one parent. However, both parents make important decisions about their child's life. The parents must work together to make decisions on the upbringing of the child, even if the child has only one primary residence. 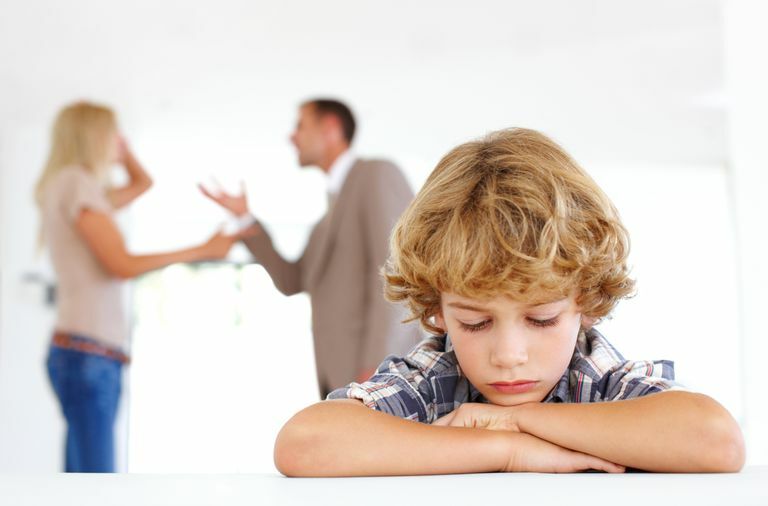 It's important to note that one parent may have the authority to be the "tiebreaker" in cases of disagreement, or each parent may be given decision-making authority in certain areas or situations. Parents who share joint legal custody must continue to communicate with one another in order to reach joint decisions. Even when one or both parents are reluctant at first, the outcome can be very beneficial for the child. Children typically benefit from seeing their parents interact genuinely with one another, ideally demonstrating what it means to compromise and work through disagreements in a healthy manner. With time and as parents learn to co-parent collaboratively, a certain degree of effectiveness can be reached when it comes to rules, consequences, meals, bedtimes, and many other child-rearing choices. Parenting is a dynamic process. There will likely be ups and downs ahead. Every family goes through this, and when it happens, the input of your co-parent may not only be positive but welcome. This is especially true for major decisions around education and medical care. It is often difficult to collaborate on important decisions. There's really no roadmap for what it should look like or what success means, and there are times when it is impractical to consult with one another before reaching a decision. Many parents complain that the system can, at times, be manipulated. For example, when one parent argues that the other "must" do what they say because they share joint legal custody. Forcing two parents to collaborate does not guarantee that they will be agreeable or demonstrate healthy co-parenting communication skills. Joint legal custody is most ideal for parents who have already demonstrated a willingness to work with one another in making key decisions for their child. It's also best when neither parent is holding a grudge against the other or refusing to communicate—which happens, unfortunately. Conversely, courts should be careful not to assign joint legal custody in situations where one parent is unreliable or has a history of 'checking out' and being out of touch for long periods of time. Communication skills are essential to making this type of child custody arrangement work, and it can go south quickly if both parents are not on board.